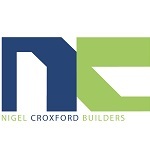 Nigel Croxford Builders is an award-winning family business which has been established for over 40 years. We undertake all aspects of the construction industry and employ professional, traditional craftsmen able to complete works to an excellent standard. We are specialists in full scale refurbishments, property renovation, new build projects, large scale extensions, loft and garage conversions, upgrading outbuildings, annexe construction and any other bespoke requirements. In addition, we can also help with any other services that you need for your project; including tiling, landscaping, flint and stone work, plastering, painting and decorating, carpentry, plumbing and heating, and any electrical work.